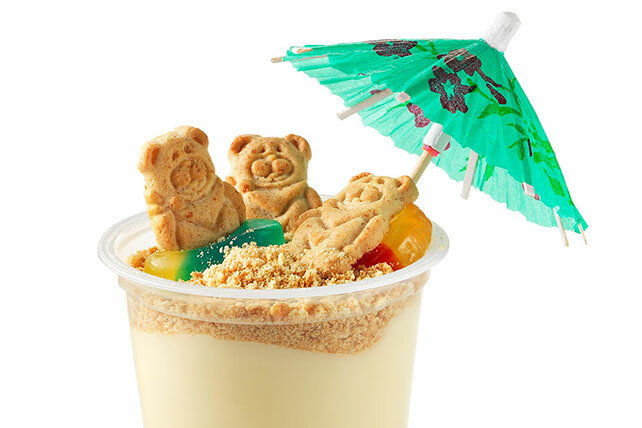 Delight your little bear cubs with this Easy Beach Dessert. It's as easy as adding bear-shaped honey graham snacks and other toppers to the pudding they already love. Top pudding snack with graham crumbs for the sand. Decorate with graham snacks and fruit snacks. Garnish with a paper umbrella, if desired. Prepare as directing using JELL-O Chocolate Pudding Snack.